An interactive data comparison tool to replace old-school spreadsheets, graphs and charts. 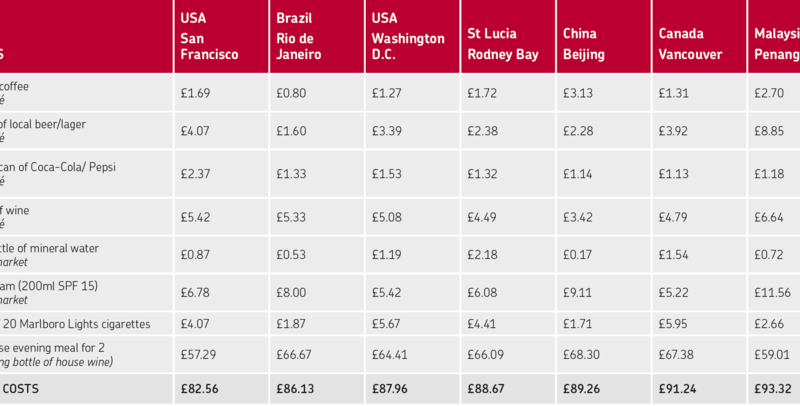 For many years, Post Office Travel Money, part of the Royal Mail Group, has continuously monitored the price of 8 popular tourist items across the globe, producing an annual “travel barometer” report allowing holiday-goers to compare the costs of their favourite holiday destinations. The traditional reports that The Post Office were publishing on their website were presented in table format, and weren’t very engaging. They had tried using infographics, but these were time consuming to create as the data needed to be updated regularly. With a view to making these reports more engaging and easier to maintain, we designed an interactive data visualisation tool to help bring the barometer to life. 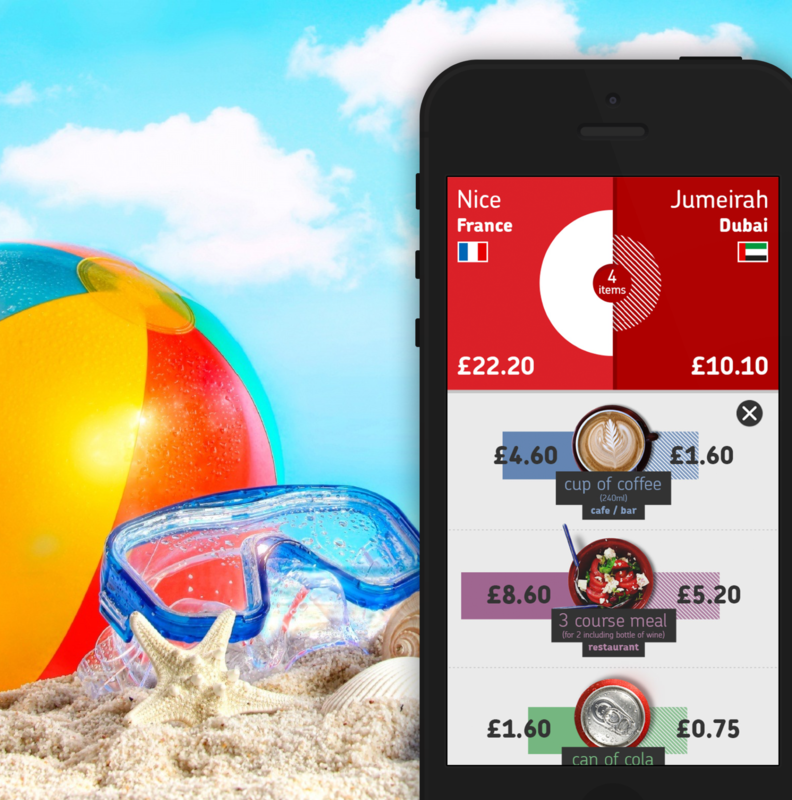 The interactive tool allows users to select two countries to compare, and then presents the costs for each of the 8 common holiday items side by side. Users can add or remove specific items, and also share a link to their customised comparison page with friends or family. Administrators of the tool are able to quickly and easily update the costs of each item via a simple to use, bespoke content management system. For efficiency, there is even an option to import the data directly from a CSV file.